Happy 4th of July to all of our American friends! Happy 4th of July to all of our American friends!! Whether you’re staying low key and chilled out for this 4th of July or you’re getting glammed up, we are here to help with outfit choices that will work for either look! 1. 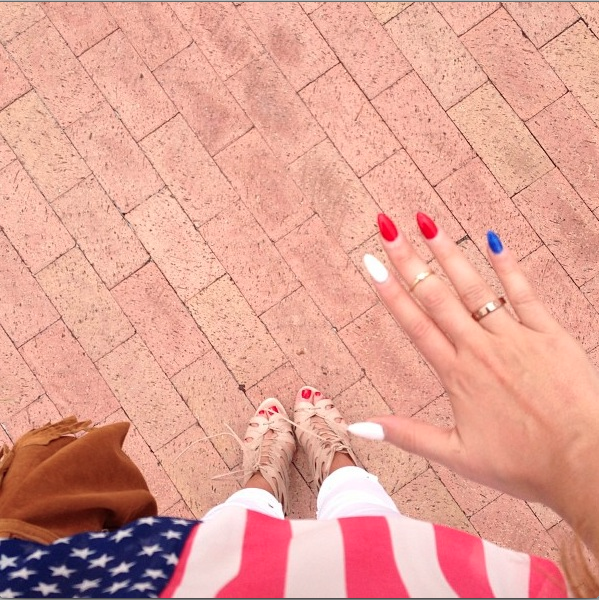 Nails: We love these nails one of our favorite American beauty gurus Nicole Guerriero is rockin’ for this 4th of July! Simple, yet elegant! 2.This dress is from dailylook.com and is perfect for this 4th of July, if you’re planning to hit the town. When this dress is paired with a red clutch, it’s even better! This look was spoted from another one of our favorite American beauty gurus Stephanie Michelle. 3. 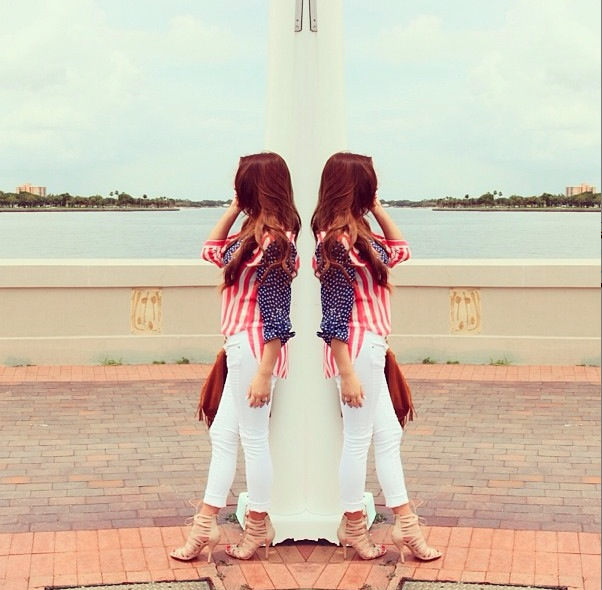 This look is perfect if you’re just taking it easy this 4th of July, or just want to be comfortable. This top paired with a pair of white skinny jeans or dark wash jeans is the perfect “I didn’t try hard to look this good” outfit! 4. 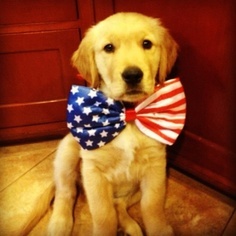 We even have a little 4th of July outfit spirit for your furry friend! 5. 4th Of July Recipe! 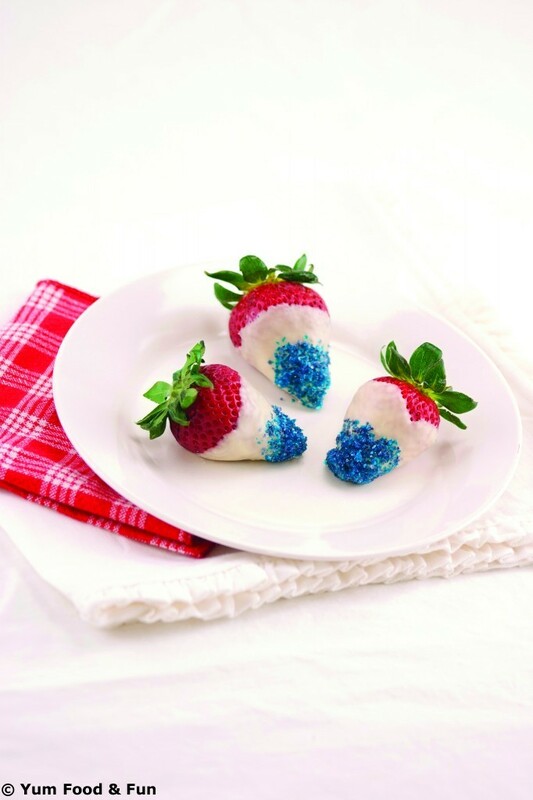 If you’re looking for a last minute 4th of July inspired treat! Check out this easy recipe. 1. Wash strawberries and pat dry. Line a baking sheet with wax paper. Fill a small bowl 1-2 inches deep with colored sugar or sprinkles. 2. Place chips and shortening in a microwave-safe bowl and microwave on medium power for 1 minute. Stir, and then repeat at 20-second intervals until chips are melted. Alternatively, use a double boiler or place chips and shortening in a heat-proof bowl over a pan of simmering water, stirring until melted. 3. Dip each strawberry in the white chocolate, about 2⁄3 of the way up, leaving some red showing. Lift out and allow excess to drip for 2 seconds before immediately dipping into colored sugar 1⁄3 of the way up the strawberry. Set on prepared pan to cool.